Yup, it's the first of the month and you know what that means... Currently! I am sooo tired but I can't go to bed until I link up with my friend, the Fabulous Farley at Oh Boy 4th Grade! I am so happy tomorrow is Friday. My team and I are going for refreshments after school to start off our weekend with a smile! OMG! I am glad you can't see me right now because I have so much white hair showing! I usually don't let it go this long between colorings but Good Golly Miss Molly I look like a skunk! Dying my hair is FIRST on my to do list this weekend! Like a lot of teachers I like stuff. My teammates might say that I like stuff (good stuff and junk) more than most but I just can't help myself. What kind of stuff, you ask.... oh all kinds! I hate throwing anything away and STUFF may or may not be over stuffing my classroom closet. It will take me days to go through it all but I think its time to declutter.......to make room for new stuff of course! Needing? Heck, I need a whole list of things but I am not going to dwell! Surprise Jennifer Runde! I picked you to give a shout out to on my Currently! I am sure you all know Jennifer from Runde's Room. 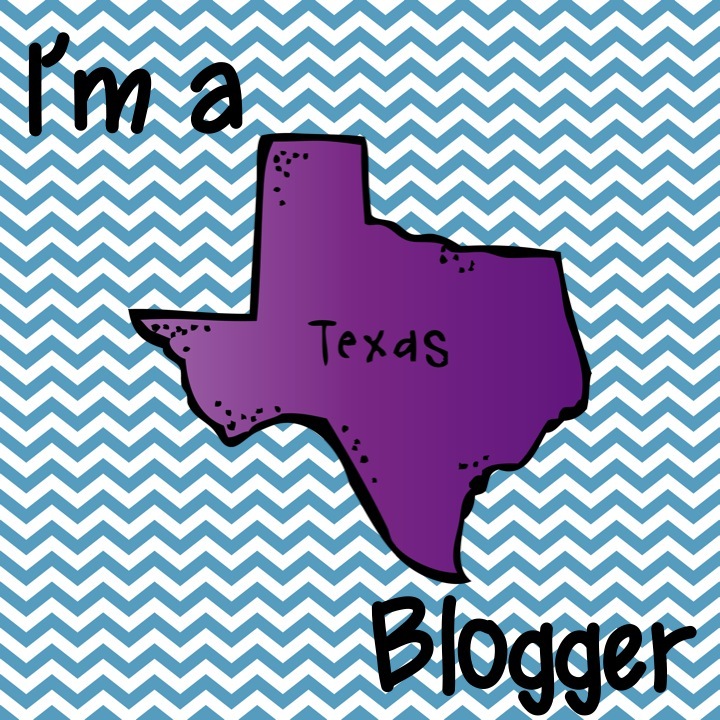 She is smart, generous, fabulous, great, terrific, talented, kind, an awesome mom, an awesome teacher, and awesome blogger, and awesome teacher resource maker........ 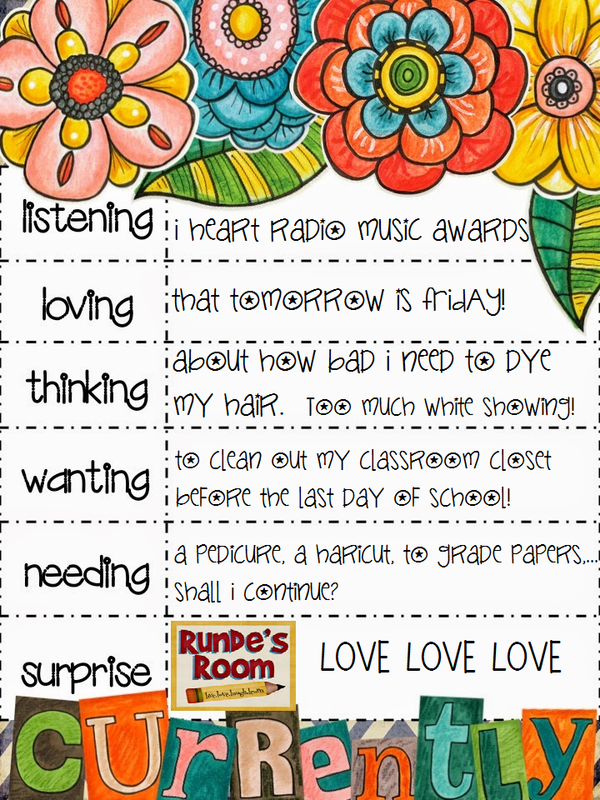 This can be as long as my Need To Do list but I will stop here to tell you not only to check out Jennifer's blog, Runde's Room but her TPT store as well. I have so many of her products and they are beyond fabulous! It;s late and I need to go to bed. Good night my froggy friends! I need a haircut too! I always wait too long in between haircuts!! Have fun with your team this weekend! miss you friend.. we need to do a meet up!!! Fridayyyy!! Have a great weekend! Love that you are going for refreshments after school tomorrow. We call it choir practice! or just plain old "HR!" I loved that for Pharell Williams as well! We sometimes do a P.O.E.T.S. meeting on Fridays. It stands for P_ _ S On Everything, Tomorrow's Saturday! :) Have a fun time!